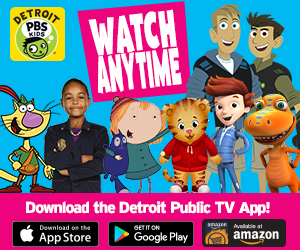 The Detroit Public TV app gives kids and parents access to thousands of free videos, including full episodes and clips from top PBS KIDS series. 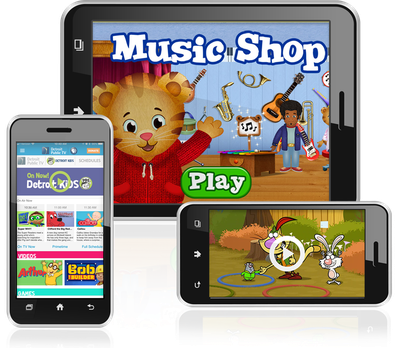 With this app, kids can watch their favorite DETROIT PBS KIDS shows and play free learning games featuring PBS KIDS characters anytime, anywhere! Stream the DETROIT PBS KIDS 24/7 channel on the app for free (no subscription or login required). Tap the “On Now" button to watch what’s airing on DETROIT PBS KIDS right now. Watch programs from PBS including Nature, NOVA, and Masterpiece. Full episodes, previews and clips from Detroit Public TV productions such as Detroit Performs and MiWeek. Watch or listen to live webcasts from anywhere. Quick access to the DPTV schedule. Available for your iPhone, iPad and your Android device.